Despite its growth into many sectors of technology, Google rarely launches products that become market leaders. (Business Insider) -- Google has invested billions of dollars building dozens of different products across a wide swath of the technology industry, from productivity tools to mobile phones to e-commerce. As a result, many tech companies large and small have to think about a "Google plan" -- what to do if Google suddenly gets into their line of business? It's the same way companies used to worry about Microsoft during the last tech boom. But it's surprisingly rare that any of these Google products actually end up as a "killer" or the market leader. In fact, since its inception, Google has only really developed one major "killer" product: Its original search engine, which blew past Yahoo years ago and currently dominates in the industry. Most other Google products wind up surviving as middle-of-the-pack offerings, or get spiked by Google altogether. One recent big failure was Google's Nexus One mobile phone store, which it launched in January to much fanfare, and closed this week. 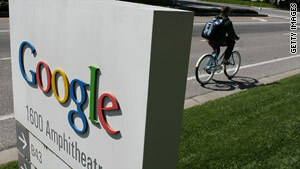 The idea was that Google was going to sell mobile phones -- based on its Google Android operating system -- on its website. This was supposed to compete with and disrupt wireless companies' local retail stores, where most people buy their cellphones. But it didn't work. Google sold very few phones, in part because they were so expensive, and in part because people still want to try phones out in person before committing to them for two years. Also because Google refused to advertise the Nexus One store on TV, one important place where people learn about mobile phones. Google, recognizing this failure, announced its plans to close the Nexus One store in May, and this week, Google ran out of phones. The company has similarly struggled to do anything involving social networking. Over the years, numerous Google attempts to buy or build "social" services have either flopped or fizzled. - Dodgeball, an early version of Foursquare created by one of the Foursquare co-founders, which Google acquired in 2005, and shut down in 2009. - Jaiku, a Twitter-like service that Google bought in 2007 and stopped caring about in 2009. - Orkut, a Friendster-like service that Google commissioned, which was only a success in some markets like Brazil and India. - Lively, a Second Life-like "virtual world" that Google launched in 2008 and killed a few months later. - Latitude, a mobile/location-based social networking service that most people don't use and have never heard of. - Google Buzz, a poorly executed attempt earlier this year designed to turn Gmail into a social network, which also hasn't been much of a success. Google is now supposedly working on yet another social networking tool called "Google Me," which is reportedly some sort of Facebook competitor. Google certainly has the engineering talent, money, brand and user base to make social networking work, in theory. But in practice, it appears that "social" just isn't in Google's DNA -- it can't seem to make a service that's fun or useful enough for everyone to want to hang out there. Arguably, the closest Google has come to a successful social site is YouTube, which has succeeded in part because it still operates semi-autonomously, beyond the Googleplex. Other Google flops include Google Checkout, the PayPal killer that never killed PayPal; attempts at shaking up the newspaper and radio ad markets; Froogle, the shopping search engine; and Google Wave, an attempt to reinvent e-mail. Why does Google do all this stuff? In part, because it thinks that some of these products and services could evolve to be market leaders. In part, to disrupt others, such as Microsoft -- that's why Google is putting so much effort into Google Apps, Google Docs, Chrome, Chrome OS, Android, and other products that compete with Microsoft's Windows and Office juggernauts. And in part, because Google is an engineering-driven company that sometimes likes to create stuff for the sake of creating it. To be sure, many of Google's products are great and beloved. But it has certainly been a long time since Google built something that "killed" any other company's product.